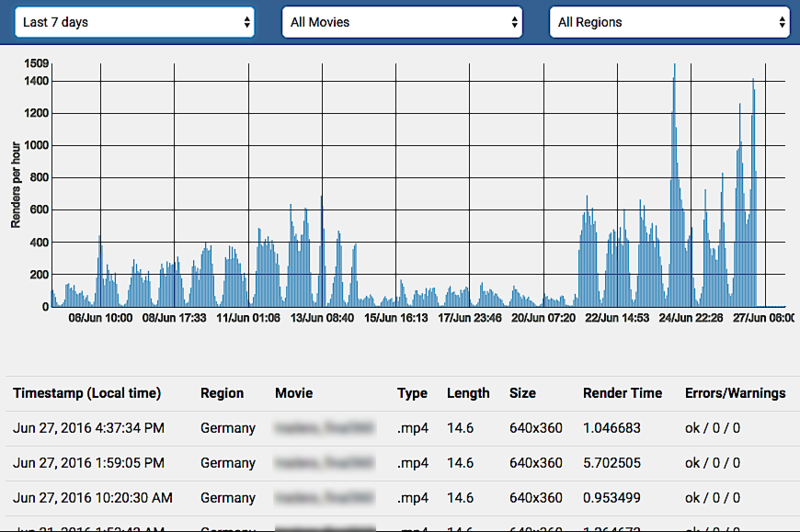 Analytics provide you with insights to details of each rendered video or image. By tracking key metrics, you can measure volume, video and image formats, render timings, number or errors and warnings. You can group data by dynamic movie and region, if you have multiple movies or published the project to multiple render regions.